Good exercise can only be balanced with a good diet. That’s why we are now offering a professional, experienced dietitian to provide you with tailored consultation at a fraction of the cost of going to market. He’ll be able to work one-on-one with you to help you form a plan according to your own body type, fitness level, health and needs. Sav Manolis is an Approved Practising Dietitian with the Dietitians Association of Australia. 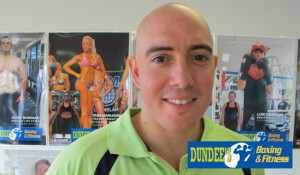 He has completed a Bachelor of Health Science Nutrition (QUT) and a Masters degree in Dietetics at the University of Queensland. Sav is passionate about food and promoting health through nutrition. He encourages a holistic approach to health with focus on the emotional, physical and environmental factors that influence behaviour. Sav is dedicated to his patient’s needs, conditions and individual goals and is committed to providing nutrition education, realistic advice and planning specific to your requirements. We have negotiated special pricing with Sav. Now, clients from our gym in West End won’t just get the benefits of our personal training services, they’ll also be able to receive three professional consultations for the market price of one. Contact or visit our gym in West End today to find out why boxing can be an ideal activity for your child.